Nearly 10 years ago, Dan'l Lewin was given an almost unenviable role - to be Microsoft's ambassador in Silicon Valley, a place hostile towards his new employer. But this former senior Apple executive asked for it. 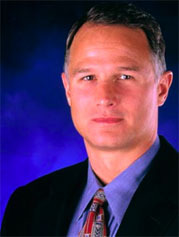 Lewin was named vice-president of .NET development in January 2001, with the job of bringing start-ups and partners onto Microsoft's then new .NET platform. He was to work out of Microsoft's Mountain View, California campus - a small outpost operating 800 miles away from the Redmond mother ship. Silicon Valley was hostile ground for Microsoft. The center of the US tech business was then, and remains today, home of some of Microsoft's most staunch rivals - Apple, Amazon, Borland, Google, Oracle, Netscape, Sun Microsystems, Salesforce.com, and Yahoo!. And as for startups, the culture of the Valley was to team up with, or get bought, by one of the giants. It didn't help Microsoft that it had excluded itself from the political and social scene by basing itself in the far Pacific Northwest of Washington state. That has hurt when it came to forging partnerships in a Valley where relationships come out of day-to-day networking and sometimes look more like casual hook-ups than deep technology deals - as in the case, over the years, of Google and Sun or Google and Salesforce.com. When Lewin joined in 2001, though, the atmosphere was particularly poisonous. Microsoft had just been prosecuted by the US government for crushing the Valley's rising browser star, Netscape. The case had been helped along during US Congressional hearings by the buddy CEOs of Sun and Netscape telling politicians and millions of TV viewers that Microsoft was a threat to free society because it was a monopolist. Meanwhile, in 2000, Oracle CEO Larry Ellison pitched in to the fight by hiring a team of private investigators to rifle the bins of two Washington DC lobby groups that had warned the public and politicians of the impact a ruling against Microsoft in the antitrust case could have on business. Ellison wanted proof the lobbyists had misrepresented themselves as independents when they'd been sponsored by Microsoft. "We weren't spying. We were trying to expose what Microsoft was doing," Ellison told reporters at the time. Yes, it was ironic - that not only was Lewin given the task of working with the very companies attacking Microsoft and of trying to persuade start-ups to look outside the Valley, but that Apple's former director of education marketing and sales who'd also joined Steve Jobs' as vice president of sales and marketing at NeXT should actually approach Microsoft's chief executive Steve Ballmer for a job. With his 10-year anniversary on the horizon, Lewin has told The Reg the thing that promoted him to write a speculative email to Ballmer was a speech by Microsoft's then-new CEO on something called .NET. This was Microsoft's brand-new application framework that used and consumed the then equally new open-specifications and standards XML and SOAP and talked web services.